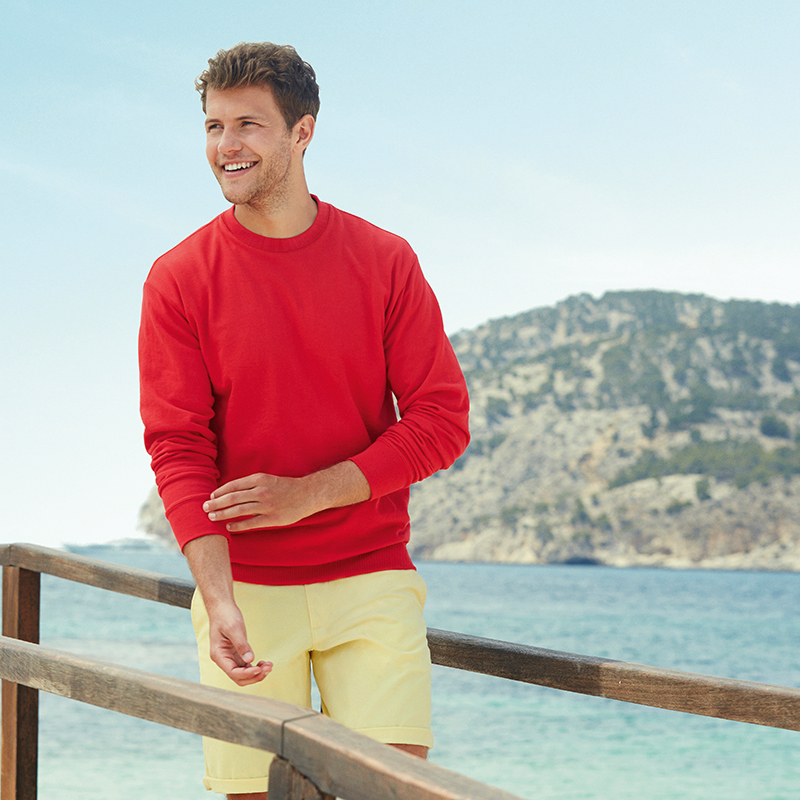 Lightweight unbrushed (French Terry) sweatshirt with set-in sleeves. Collar, cuffs and waist in cotton/Lycra® rib. Produced using Belcoro® yarn for a cleaner, more stable print area.